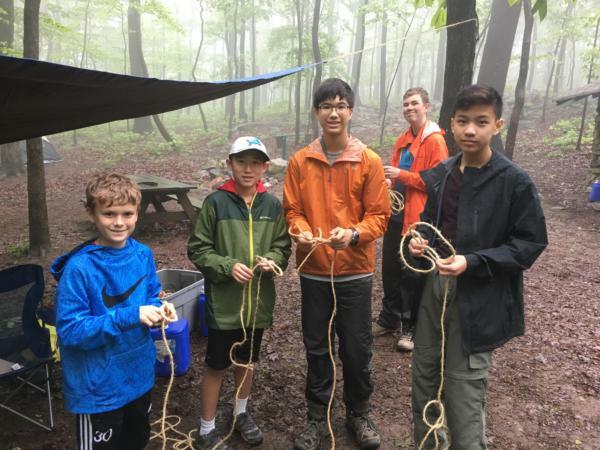 May 2018 New Scout Campout | Troop 1128 - Vienna, VA | A Scout is trustworthy, loyal, helpful, friendly, courteous, kind, obedient, cheerful, thrifty, brave, clean, and reverent. 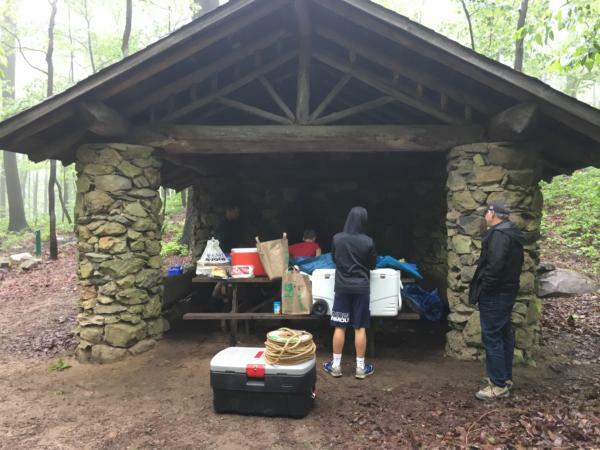 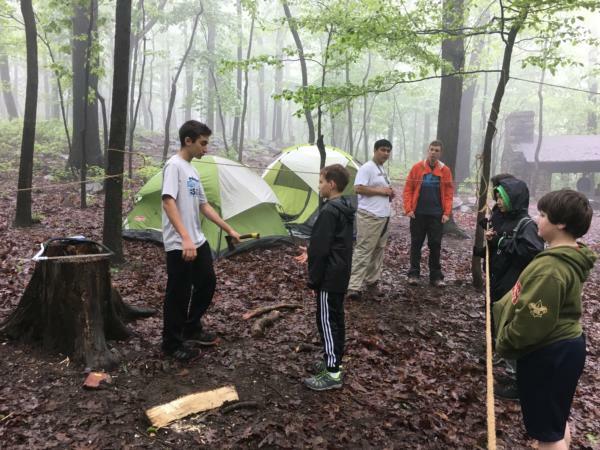 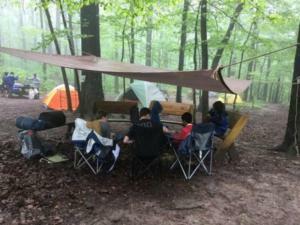 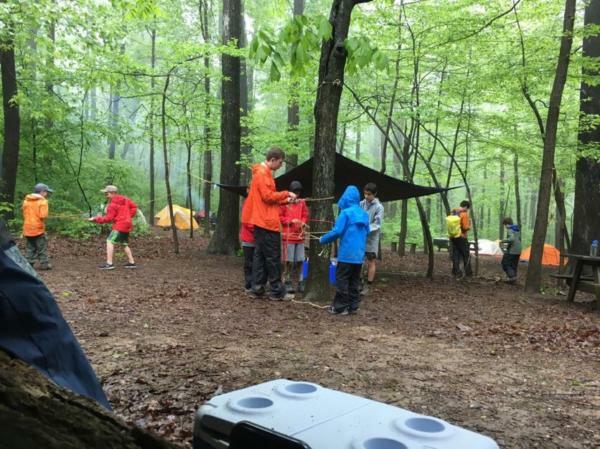 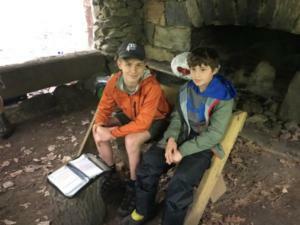 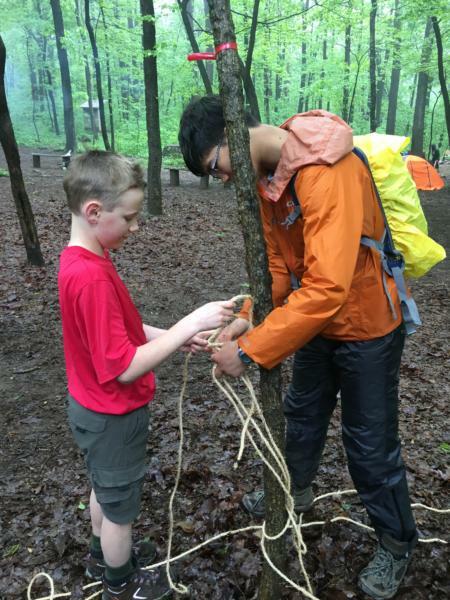 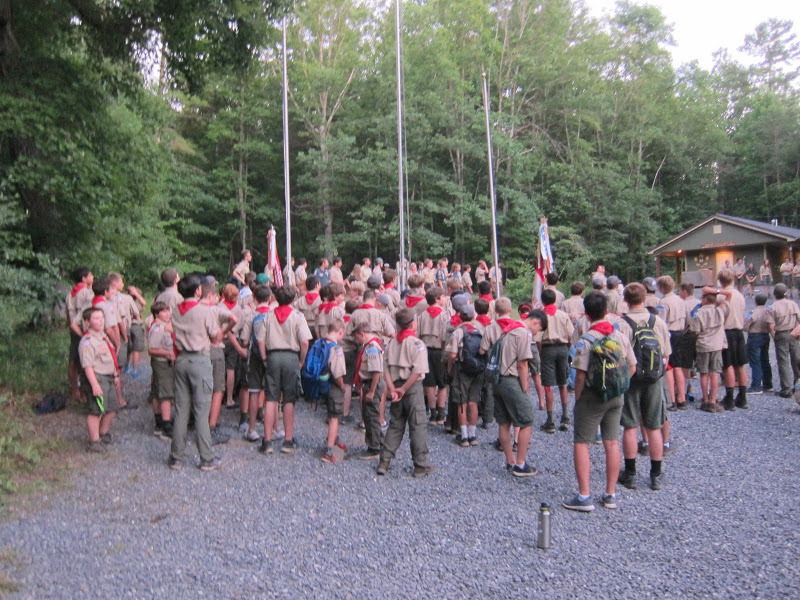 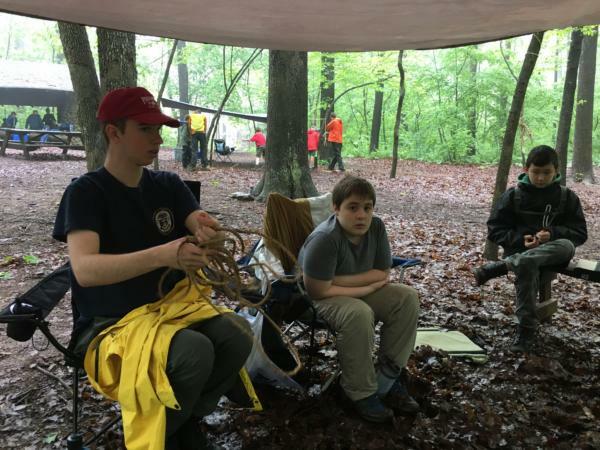 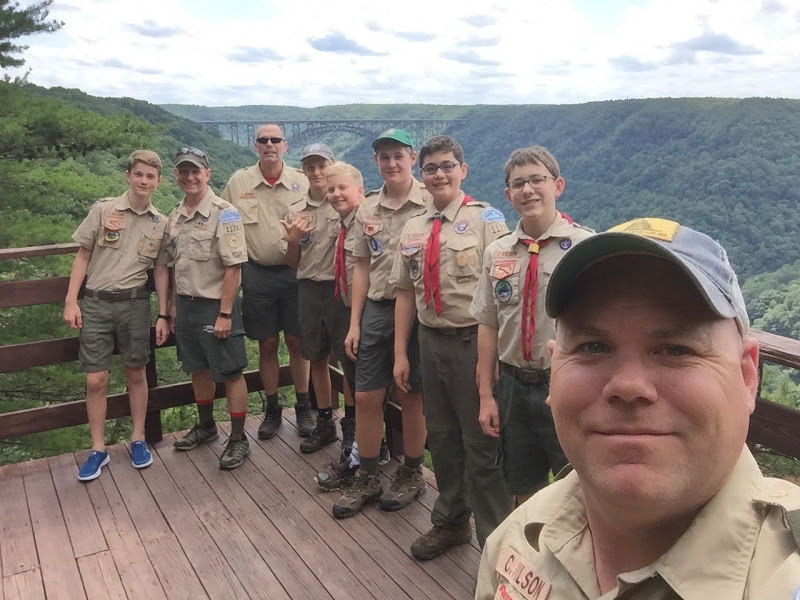 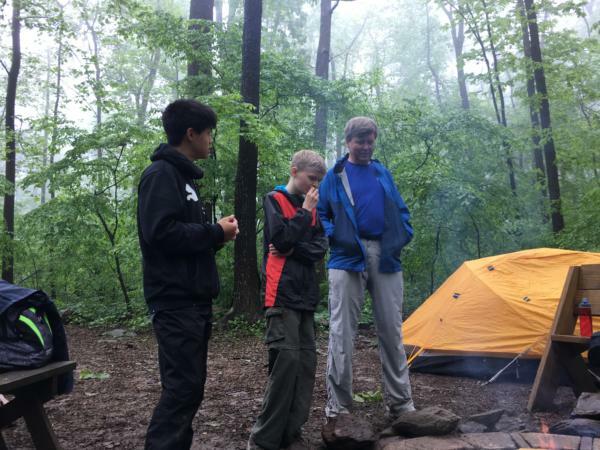 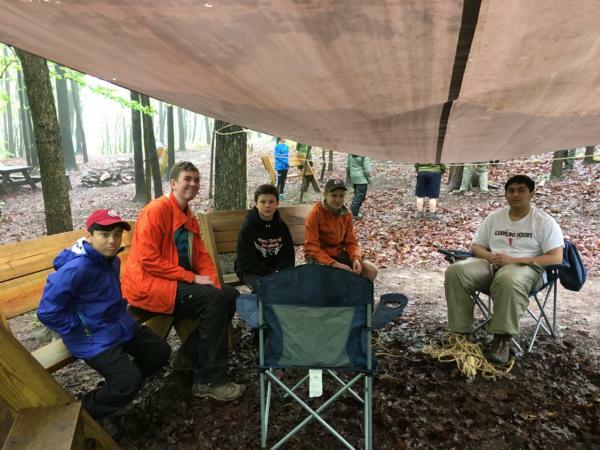 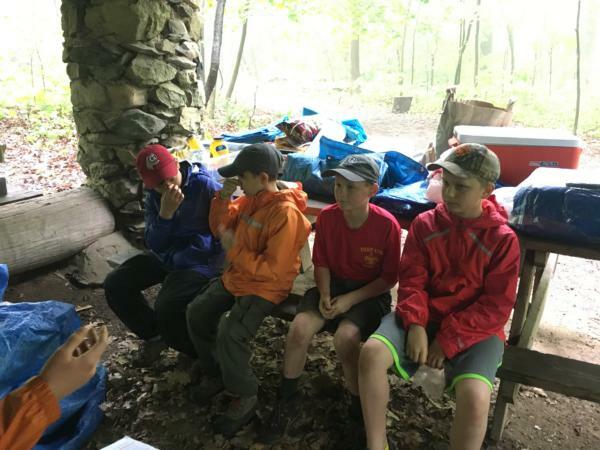 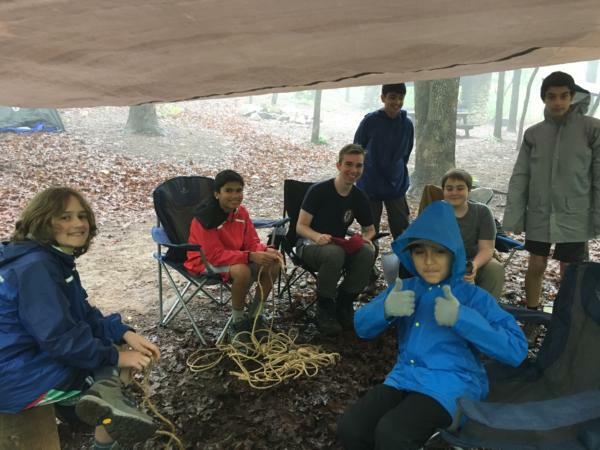 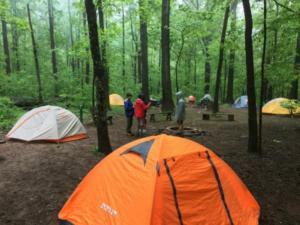 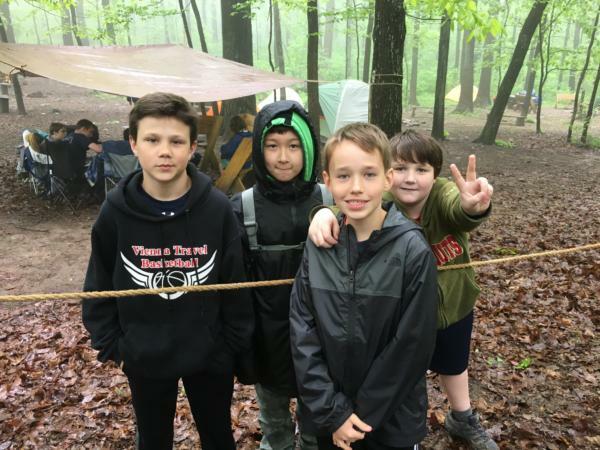 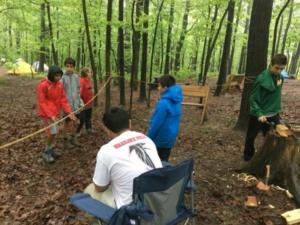 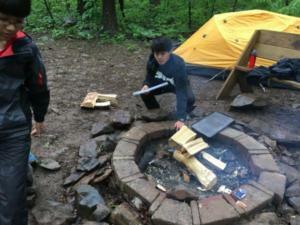 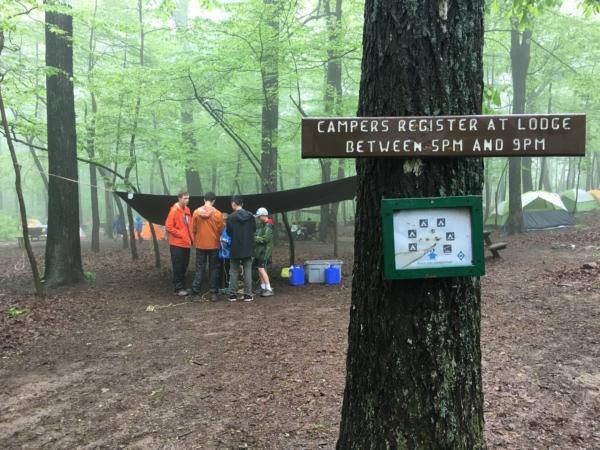 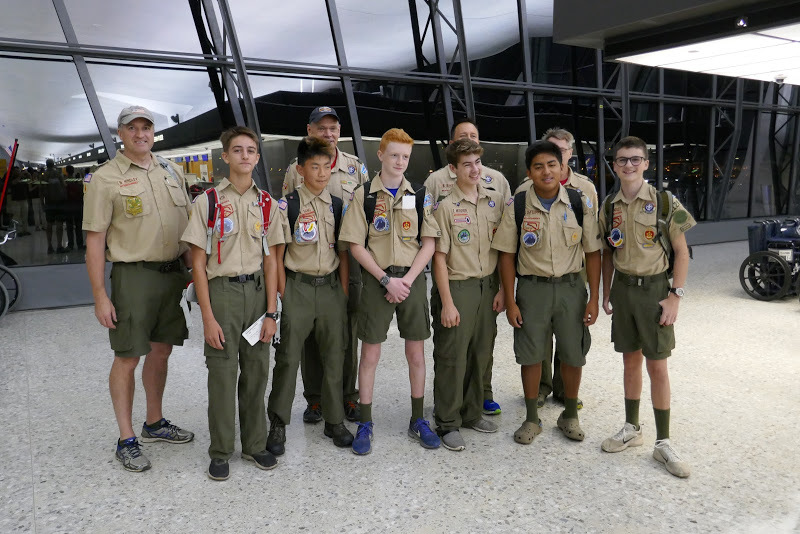 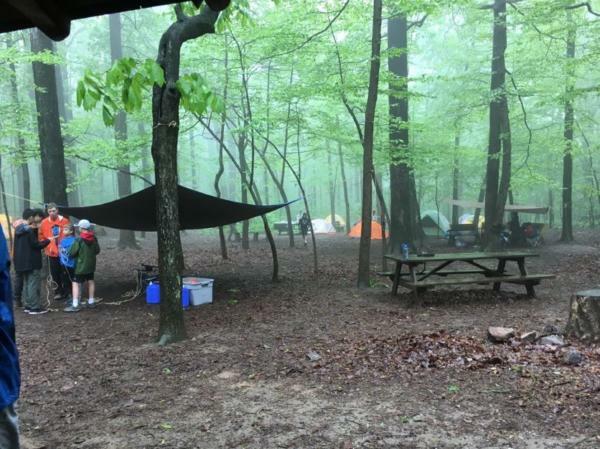 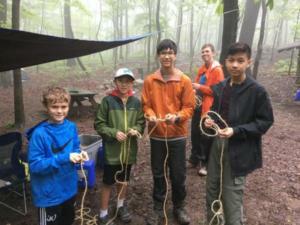 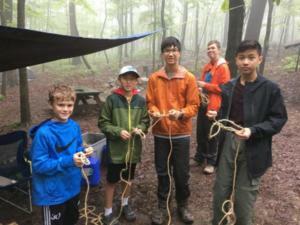 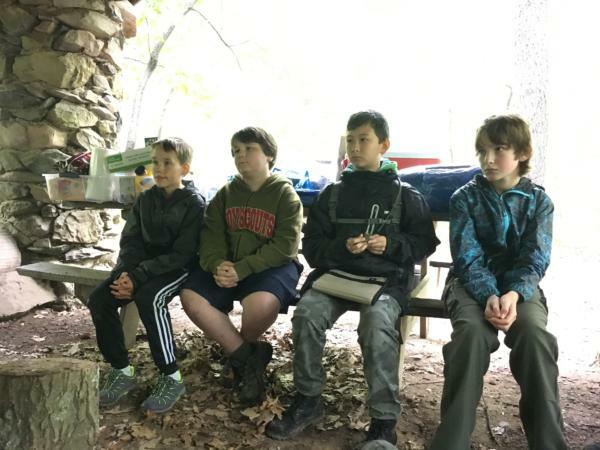 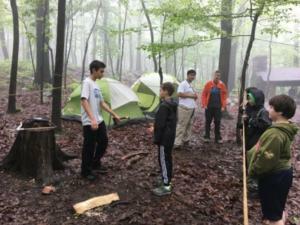 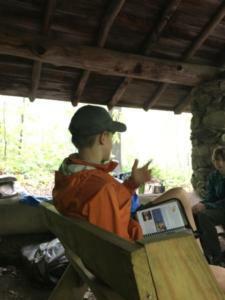 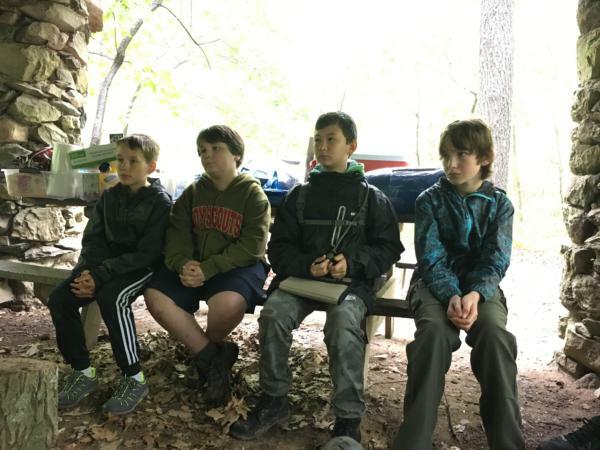 On May 19th through 20th thirty-three Scouts and six Scouters from Troop 1128 camped at Bears’ Den in Bluemont, Virginia. 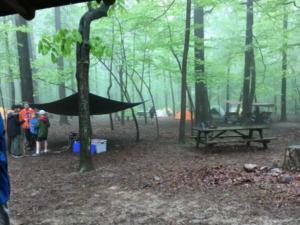 Bears’ Den is a beautiful place to camp set on the forested grounds of a historic home. 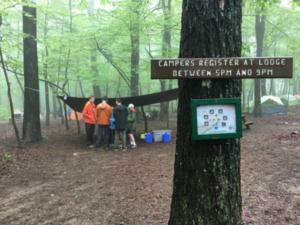 The campsite is just a few hundred yards from the Appalachian Trail and is a favorite of the Troop. 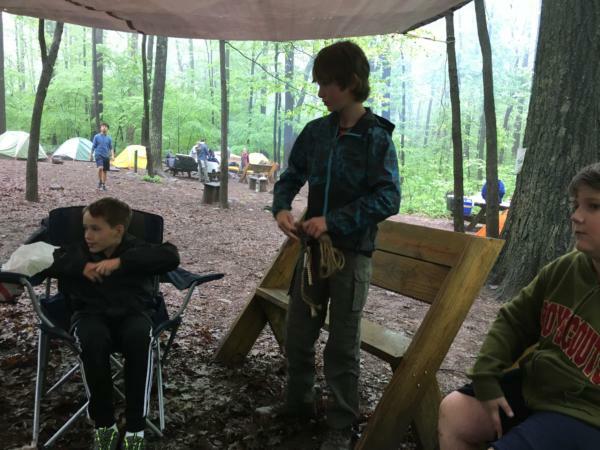 This was the first campout with the Troop for many of the Scouts who had just bridged over from Webelos earlier in the year. We were fortunate to have great weather after a week of rain. 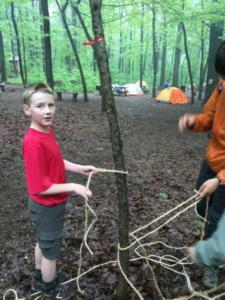 The Scouts kept busy with the older ones teaching the younger ones many new skills. 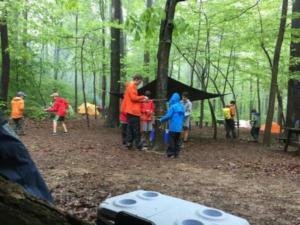 The younger Scouts were thrilled to learn knife, ax, and saw safety and in the process earn their Totin’ Chit badges. Many Scouts also learned fire safety during the weekend and were awarded their Firem’n Chip badges. 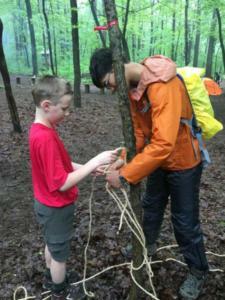 Other skills such as knots were practiced during the weekend. 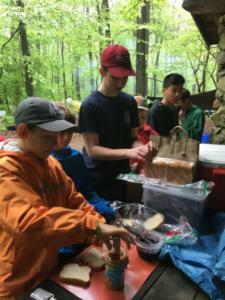 The campout was also a great opportunity for the Scouts to practice their cooking and cleaning skills. 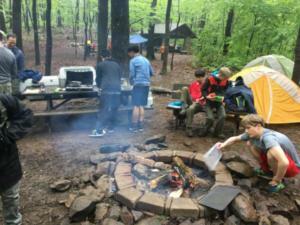 Some fantastic meals were prepared and devoured during the outing. The campout was a great success and has helped prepare many of the Troop’s newest members for future adventures. 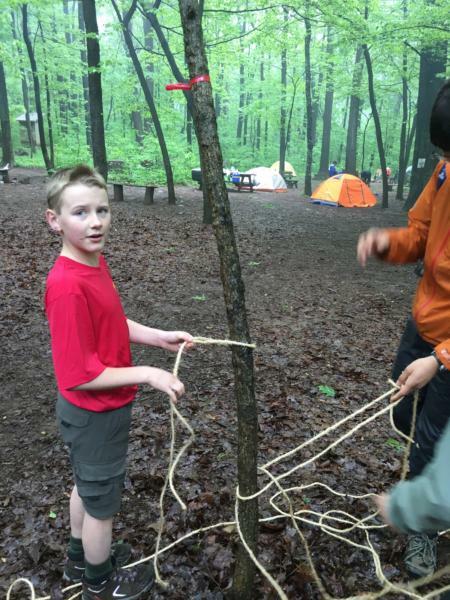 Kudos to all of the more experienced Scouts that welcomed their new Troopmates by teaching them new skills.